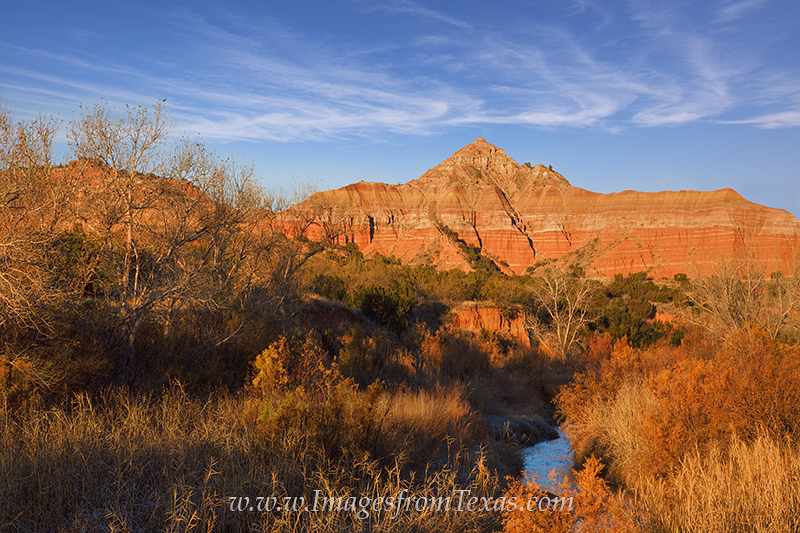 Brilliant orange light illuminates the red rock on Palo Duro Canyon’s Capitol Peak on a cold November morning. Brilliant orange light illuminates the red rock on Palo Duro Canyon’s Capitol Peak on a cold November morning. Photo © copyright by Rob Greebon.